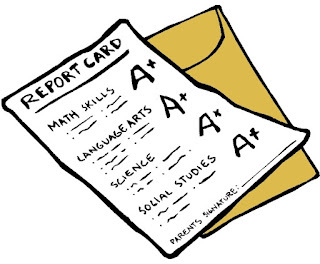 Hot Topic: Should You Tell Your Students Their Grades? Here in Korea we have a grade notification period and a grievance period. Since being highly organised is one of my traits (good or bad, you choose), I always know my students grades a little bit before the grading period starts. In the past I have usually given them their class rank and grade. Since the university where I worked before had a very lenient grading curve and because I'm a nice teacher, half of my students would end up with As and 40% would get Bs. More likely than not all of those As and Bs would be A+s and B+s as well. Only 10% of my students would get a C+ or below. That's a pretty good curve. However, it just goes to show how useless grades have become since they're so inflated. The university required students to evaluate their teachers before they could see their grades. I found out that when students knew their grades ahead of time they tended to give me a lower evaluation; revenge perhaps. If they didn't know their grade than it couldn't skew their evaluation. Because it seems that teachers get higher evals if they don't tell students their grades, most of the teachers I know downright refuse to tell their students their grades ahead of time, even if they have everything graded and ready.